Working while taking classes can be difficult. You keep up with a class and work schedule, are doing assignments or tasks for both, and are trying to meet new people and hang out with your friends! But, working and taking classes is not impossible, and can actually benefit a lot of students in more ways than earning a little pocket cash! In fact, students who work while taking classes often do better in their classes than their peers who do not work. However, you have to find a balance! Working and taking classes consumes a lot of time, and you want to make sure that you also leave time in your schedule for student organizations, friends, and sleeping! To help you find a balance, we’ve put together a list of things to consider both before you begin applying for jobs and after you’ve started working. So many students look for on- and off-campus jobs that align with their major or the industry that they hope to work in after graduation. But, they often find that these jobs don’t exist, are only available as unpaid internships, or have qualifications that they cannot possibly meet while still pursuing their degree. Rather than wasting time searching for something that’s not out there, look at the opportunities that are right in front of you and consider what you can gain from them. For example, you may not want to become a career receptionist, but working part-time at a call center can help you refine your communications skills and prepare you for a variety of full-time jobs after graduation. To do this, simply start by reading the job description. Look for key words that speak to the skills you will need on the job and ones that you have the potential to gain. Understanding what a job has to offer can help you with your application, but can also help you appreciate the job more. If you’re not sure where to start, our Career Readiness Badging Program can help you figure out which skills you should look for. To find out more information about our Badging Program, and to enroll in an Orientation, visit careerready.usfcs.info. It is important to consider your ability to balance work and school when applying for part-time jobs. If you are in your first semester, you may want to give yourself some time to get used to being at USF before trying to take on more responsibility. You also want to make sure that you have as much time as you need to study and get homework done. Many part-time jobs located on or close to campus understand that you are a student first, and will allow for a more flexible schedule. But, you need to make sure that you are open and honest with your supervisor about the time you need to study. Ask them questions during the interview about the number of hours they expect you to work, but don’t make it seem like having the job would be a burden to you. You want to come across as confident and capable to your future supervisor, but they want to know that you take both your work and your classes seriously. If you have a job, make sure that you have your class and work schedule settled. If you need help figuring out the best tool you should use to make sure you stick to the schedule you have made, check out our post from a couple weeks ago. In addition to planning time for class and work, give yourself time to breathe! Whether you want to spend your free time with friends, or if you’d rather have time to read a book or go to the gym, you’ll want to plan for it. Make sure you carve out time to recharge, rest, and have fun! A busy work schedule can easily consume all of your time and it can be difficult to remember what else you need to focus on. While your classes are important (they’re why you are at USF after all! ), you have to take care of yourself so that you can be well! Being “well” doesn’t just mean being healthy physically. Some things that contribute to your overall wellness include stress, financial strain, relationships with friends and family, and satisfaction with your career goals or path. The MoBull Wellness app helps you understand your overall wellness with self-assessments in each area, and then refers you to services across campus to help you get “well” soon! 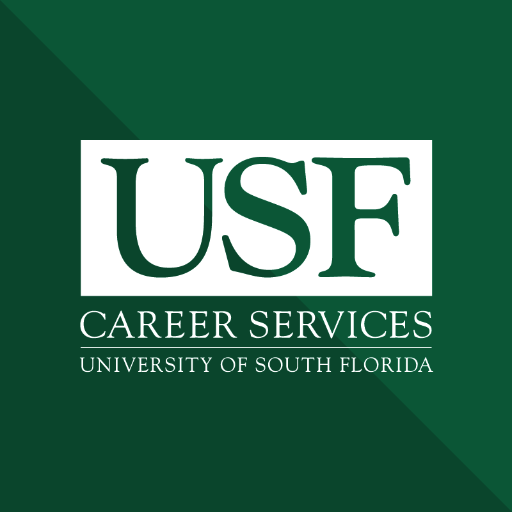 For more information about this app, and others that can help you make the most of your time at USF, visit apps.usfcs.info.